Campingplass Le Médiéval er en campingplass i Turckheim, Haut-Rhin, som ligger ved en elv/bekk. Denne campingplassen har steder med avgrensning, med skygge, uten skygge og plasser med noe skygge. Det er mulig å leie stasjonære campingvogner. Denne inspektøren besøker hvert år Campingplass Le Médiéval og inspiserer campingplassen for ca. 200 fasiliteter og for andre punkt som forekommer. Inspektøren er en medarbeider fra ACSI og arbeider ikke for campingplassen. Municipal site with great access to a very pretty town. Grass pitches were of a good size but quite uneven and needing a good cut. The storks roam freely around the site.Toilet facilities were excellent. A superb site with professional and courteous staff and excellent facilities. Ideally located, 5 minutes walk, to the charming town centre and the glorious region with its magnificent scenery and historic towns. We seldom stay more than one night in our MH but stayed 5 nights. A delightful spot. Not much to add to previous reviews. We came here rather than go back to the Colmar site on the recommendation of campers we had met and are very grateful for the advice. Pleasant, well equipped, flat site that is frequently inspected by one of the resident storks who marches around. Turckheim is a beautiful village with bakers and a small Casino (shop) within five minutes walk. Lots of walks and cycle rides to do as well as buses and trains to Colmar and Munster just down the road. Supermarkets about a mile away by bike. We spent a lovely week on this campsite. It's a short walk from the picturesque town of Turckheim, the railway station and bus stops. Great for motorhomers. Electric and water are on pitch. Sanitary block was always spotless and we'll set up with everything except a hand dryer. We were welcomed by a lovely lady who wanted to improve her English although it was already very good. She sent us off with a site plan to choose a pitch which we always like. All staff on site were friendly and helpful too. There are basic food items for sale on site as well as the chance to order bread, croissants etc. for the next day. We would recommend this site to anyone wanting to explore the Alsace area. Trains to Colmar, Strassbourg, Munster and other places are a five min walk and reasonably priced. Our bill at the end of the week was very good value for money and we would definitely return if we visit the area again. Lovely picturesque site with stalks nesting on the nearby poles. Very good toilet/shower/laundry facilities although the water only warm. Easy walk to beautiful village. A very good site. A gem. We visited in the middle of October when the rest of France was closed. Large pitches and great heated shower block. The German influence can definitely be felt here. On site storks very photogenic. As stated in other reviews Turckheim is a beautiful little village and Colmar 15 mins by train. Nearby Caves de Turkheim is a quality wine producer and prices are competitive esp. the Grand Crus. Perfect in every way for us. The welcome from the English speaking receptionist was friendly and professional and she patiently answered my many questions about the local area, and requests for local walking and cycling maps. The toilet block is superb, warm clean and with toilet paper, handwash and dryers - it is not often that you get all three! It is a few minutes walk to the beautiful Turckheim and a cycle path is right on the doorstep. WiFi is free and fast. There is no swimming pool, but I don't use them anyway. We tried to use the coordinates in the guide, they took us onto allotments which led to interesting manouvers! Once found the reception was good. 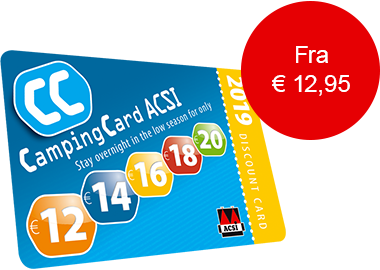 We were told that our English ACSI card was not the proper thick credit card type, luckily we had a camping carnet for ID. The pitches are an excellent size and level. Storks coming up to your table whilst you eat was an amazing experience. Turkheim itself is an incredibly beautiful place to visit. It makes you feel it's a real place rather than a tourist destination and very beautiful place in the evening. There is a little Casino store and bakers, butchers etc.also lots of restaurants. We got the train into Colmar for the day. Colmar is a lovely place to visit and the trains very regular. A great site for motorhomes due to proximity of the town, 4-5 mins walk and the station. There is also a very good service point for waste water, cassette emptying and fresh water with easy access. Well situated campsite just on the edge of the lovely little town of Turckheim. Roomy, well marked pitches. Very well placed for seeing the medieval villages and Colmar. Entry barrier needs a key which is available for a deposit from reception. A shame they forgot to tell us about this system. When we rang the bell to get back into the site staff were very grumpy with us. A lovely new sanitary block, all inside, includes a baby room with bath and teeny toilet and a disabled room with wheelchair accessible shower and toilet. Unfortunately the disabled facility was kept locked and although key available from reception it had to be taken straight back! As reception is closed from 02.00- 08.00 and over lunch this could be very inconvenient if you really needed the disabled loo. Just couldn't make them understand that this is unacceptable. (my french is quite good) They just said that the facility was misused last year so they lock it now!! Would still recommend this great little site. Vil du booke Campingplass Le Médiéval eller få mer informasjon? Det går bra med opplysningene nedenfor. ACSI Eurocampings sender din forespørsel til "Campingplass Le Médiéval".